Autonomous Orthodox churches are those churches which have self-government. Autonomy (literally, "self-ruled") is the status of a church within the Orthodox Church whose primatial bishop is confirmed by one of the autocephalous Orthodox Churches. In all other respects, an autonomous church is entirely self-governing. There are five Orthodox churches which, although functioning independently on a day-to-day basis, are canonically dependent on an autocephalous Orthodox church. In practice this means that the head of an autonomous church must be confirmed in office by the Holy Synod of its mother autocephalous church. The Orthodox churches of Finland and Estonia are dependent on the Ecumenical Patriarchate, and Mount Sinai is dependent on the Patriarchate of Jerusalem. 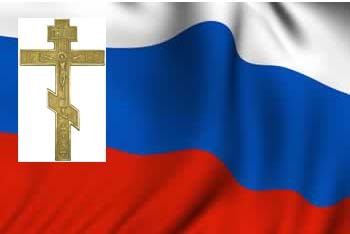 In addition, the Moscow Patriarchate has granted autonomous status to its Orthodox daughter churches in Japan and China, but these actions have not been recognized by the Ecumenical Patriarchate. These are churches which, because of special circumstances or political turmoil in their countries of origin, have been received under the canonical protection of the Ecumenical Patriarchate. The Patriarchate provides these churches with Holy Chrism and confirms the election of their bishops(American Carpatho-Russian Orthodox Diocese in the USA, The Ukrainian Orthodox Church of the USA and Diaspora, The Patriarchal Exarchate for Orthodox Parishes of Russian Tradition in Western Europe, The Albanian Orthodox Diocese of America). The canonical status of each of the Orthodox churches of Irregular Status is questioned in some way by Orthodoxy as a whole. This is not to put them all on the same level, as some are considered simply uncanonical, while others are in full schism and out of communion with the Orthodox Church.